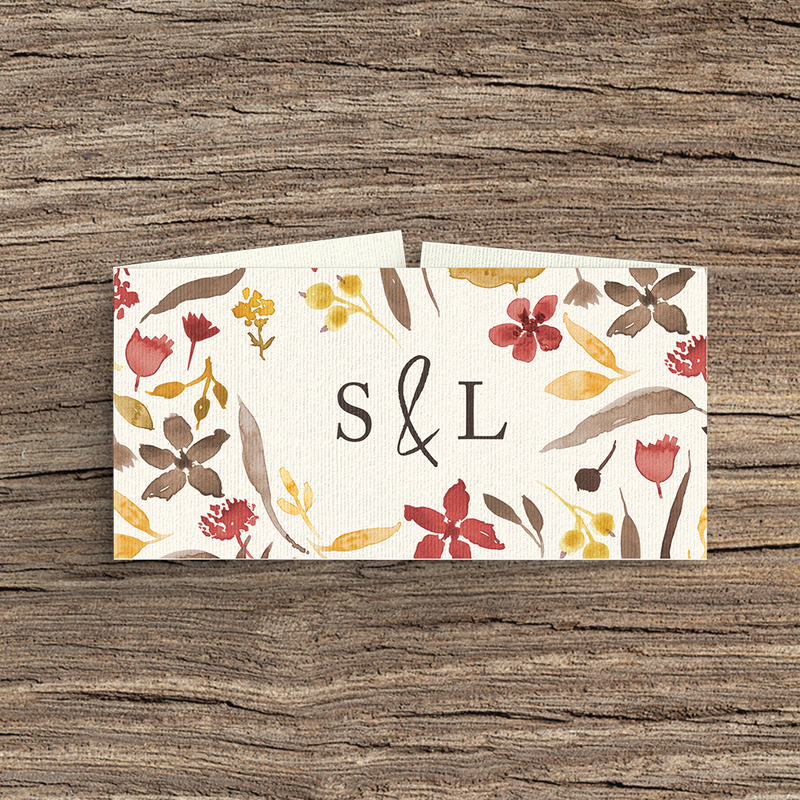 Wedding stationery set with a cranberry and mustard floral theme. 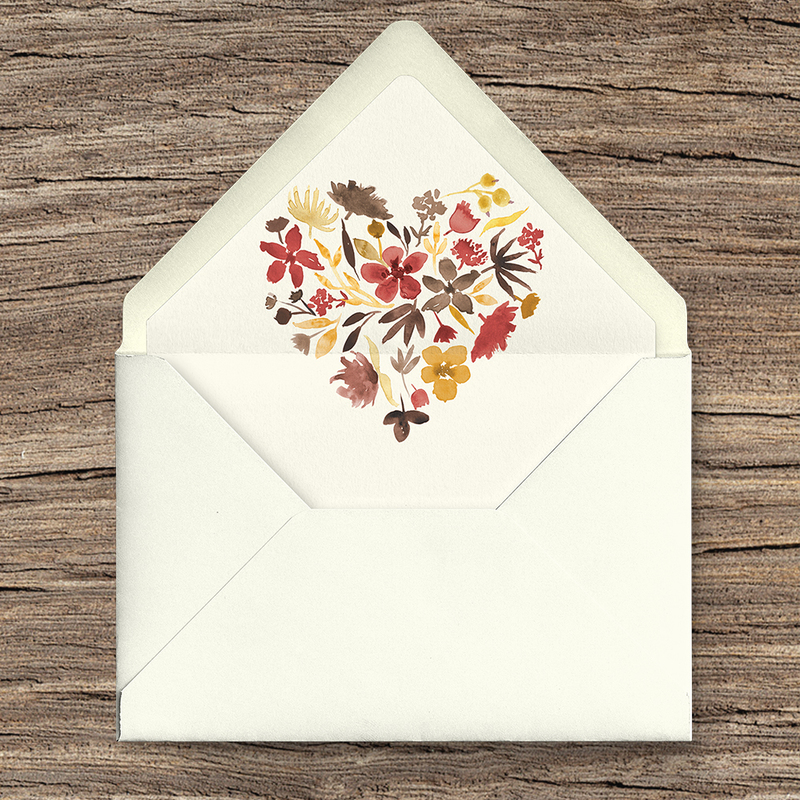 This set contrasts strong and bold colours with delicate painted flowers and leaves arranged in a beautiful pattern. The pattern follows through the whole set with a matching heart design.